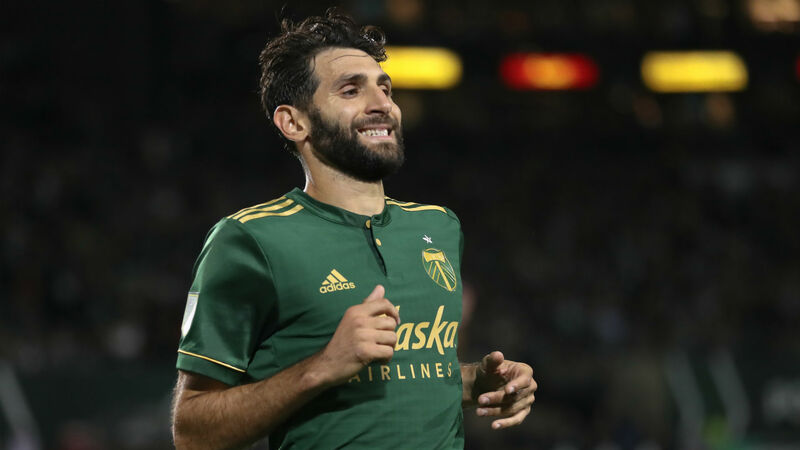 The Portland Timbers went on the road and got the result they needed to advance in the MLS playoffs, topping FC Dallas 2-1 behind a pair of goals from Diego Valeri. The reigning MLS MVP netted a brilliant free kick in the first half to put his side out in front, but it wasn’t all smooth sailing for the Timbers. Portland’s Larrys Mabiala was sent off just before the hour mark with the Timbers still leading by just one goal, leaving Dallas in a position to play the final half hour up a man as they searched for a way back into the games. But Valeri had other plans and netted his second of the night in the 71st minute. Dallas did not go down without a fight, however. Defender Matt Hedges netted for the home side in the fourth of seven minutes of stoppage time to give FCD some late hope. But Roland Lamah’s late blast skidded just wide of the mark to leave Dallas still searching at the final whislte. The win pushed Portland into the next round but the Timbers will have to wait until Thursday to find out which team they will be facing in the Western Conference semifinals. New York City FC also secured a place in the final eight on Wednesday, taking full advantage of home turf in a 3-1 win over the Philadelphia Union. David Villa continued his hot streak, setting up his club’s first and scoring the second himself as the club cruised to a comfortable win. Unlike Portland, NYCFC’s opponent is already known, with the club now set to take on Atlanta United on Sunday in New York before the return leg in Atlanta on Nov. 11. The Timbers will face either Sporting Kansas City or the Seattle Sounders in Portland on Sunday. They will take on SKC should third-seeded LAFC knock off Real Salt Lake. A win for RSL would see the Timbers face of with the rival Sounders. The other match on Thursday pits D.C. United against the Columbus Crew, with the winner to square off with the New York Red Bulls in the Eastern Conference semifinals.